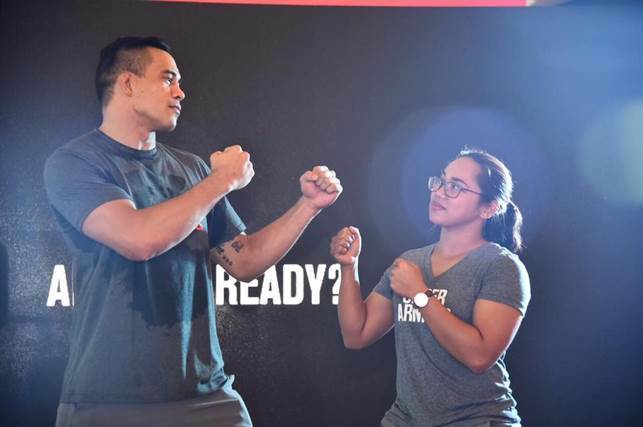 Rio Olympics Silver Medalist for Weightlifting Hidlyn Diaz was recently announced as the latest Under Armour Ambassador at the recent UA Circuit Challenge held at Robinson’s Magnolia last weekend. The UA Circuit Challenge is a two-part event taking place at Greenbelt 3 on Saturday, March 4 at 1pm. It aims to be a preliminary event to help prepare the participants of the regional fitness challenge UA ‘Test of Will’, which is set to take place on March 25 & 26 at the Glorietta Activity Center in Makati City. Now on its second year, UA ‘Test of Will’ will be held in 6 countries, Singapore, Malaysia, Thailand, Indonesia, Brunei and the Philippines. Participants in ‘Test of Will’ will compete in a four-minute circuit consisting of Burpees, One Arm Thruster, TRX Rows and Sandbag Throw. Each competitor will be scored based on the maximum number of repetitions they can achieve within 60 seconds. The highest scoring man and woman of the national heats from each respective country will win an all-expense paid trip to compete in the regional finals, happening in Kuala Lumpur on May 6. This year's overall regional finals champion will walk away with S$2,500 cash prize or around Php 88,000.